Sweet Protection is a relative newcomer to the bike market, and particularly to the U.S. market. They’ve been making protective gear for a variety of sports since about 2000, but it seems that Sweet products are finally making a breakthrough in the bike world. We looked at their Bushwacker Carbon helmet in our MIPS roundup, and I’ve been pretty happy with their Bearsuit Light knee pads. I’ve also been spending time in one of their enduro oriented trail kits, the Hunter short and Chikamin jersey. 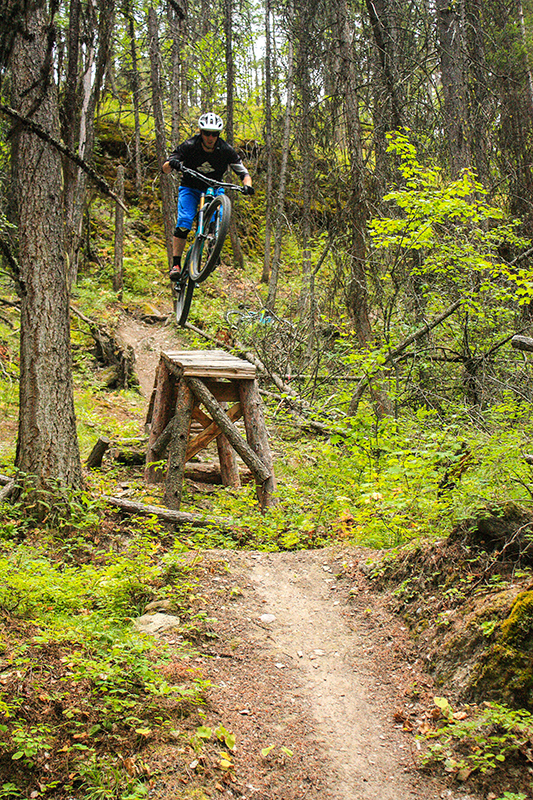 The Hunter Enduro shorts are made out of mid-weight, stretchy fabric. While it’s not as thick and burly as the fabric used on most DH shorts, it’s thicker than most trail shorts. For reference, it’s thicker than the fabric on the IXS Sever shorts, the Raceface Stage shorts, or any of the shorts I’ve ridden from Zoic. The fabric is also DWR coated, so it wards off moisture fairly well. I wouldn’t call it waterproof, but it keeps me dry-ish through minor rain events and splashing through puddles. 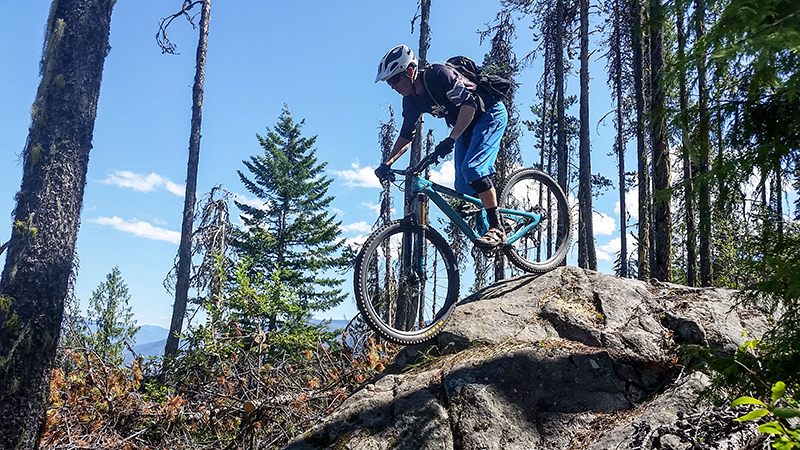 Noah Bodman in the Sweet Protection Hunter Enduro Shorts and Chikamin Jersey. The shorts have two decent sized zippered vents on the thighs, as well as some perforations on the inner thigh to help keep things a little cooler. The vents help a little bit, but I find that they don’t open wide enough to really make a huge difference. There are four pockets – two hand pockets on the hips, and two zippered pockets on the outer thighs. All of the pockets are decently sized, but I wish the hip pockets were either slightly deeper or shifted around to the sides a bit – a phone in the hip pockets interferes with my pedaling motion a bit. Finish and quality on the Hunter Enduro shorts are definitely high end. The construction seems to be solid, and all of the materials feel like they’ll hold up well. The Hunter Enduro shorts don’t include a liner, although Sweet Protection does offer the Roller liner. I haven’t tried those, so I can’t comment there. Overall, fit on the Hunter is a little bit on the large size. Aside from the length (which is intentionally long), the waist on my Mediums was workable, but a little big. For reference, I normally would wear jeans with a 32” waist. The Hunter Enduro shorts have an elastic / velcro waist adjustment system, similar to a lot of shorts on the market. The tabs are on the side, and I found that I had to tighten mine down a bit to get a good snug fit. The closure on the front is a zipper fly mated to a pair of snaps – fairly standard, so no complaints there, although I prefer buttons to snaps. The most noteworthy feature of the Hunter Enduro shorts is their length – at 17.5”, the inseam is longer than most shorts, and is almost tiptoeing into knicker territory. The bottom bit of the shorts is heavily articulated, and works really well with knee pads. They sit more like a downhill short in that regard, although I find them to be perfectly comfortable to pedal in. The Hunter Enduro shorts aren’t my first pick for a long trail ride – they run a bit hotter than most trail shorts, partly due to their weight, and partly due to their length. But they’re great as a short that falls somewhere in between a trail short and a true DH short. They have the look, length, and articulated knee of a DH short, but they’re not as stiff or bulky. So, in other words, just like the name implies, they’re a great Enduro short. And in that context, they’re one of my favorites – high quality and construction and good looks mean they do exactly what they need to. The Chikamin ¾ jersey is a pretty straight forward top without too many frills. The graphics are fairly low key, with the most noteworthy element being the Sweet Protection logo. Length on the Medium is about average for a jersey like this, and it fits my 5’9” frame well. Overall, I’d say the fit is true to size. The only noteworthy aspect of the fit is that the sleeve openings are a little snug. This is good if you like to roll up your ¾ sleeves, but I find that it means the sleeves don’t hang as loosely as I’d like. The only other thing I’d change would be to add a goggle wipe somewhere – I’m a big fan of having a little bit of fabric to clear the smear off of my glasses or goggles. Sweet Protection didn’t break into new territory with the Chikamin jersey, but they they have some nice colors that’ll match the rest of your Sweet Protection kit. If you’re looking to round out your enduro kit, the Chikamin fits well and will look the part.